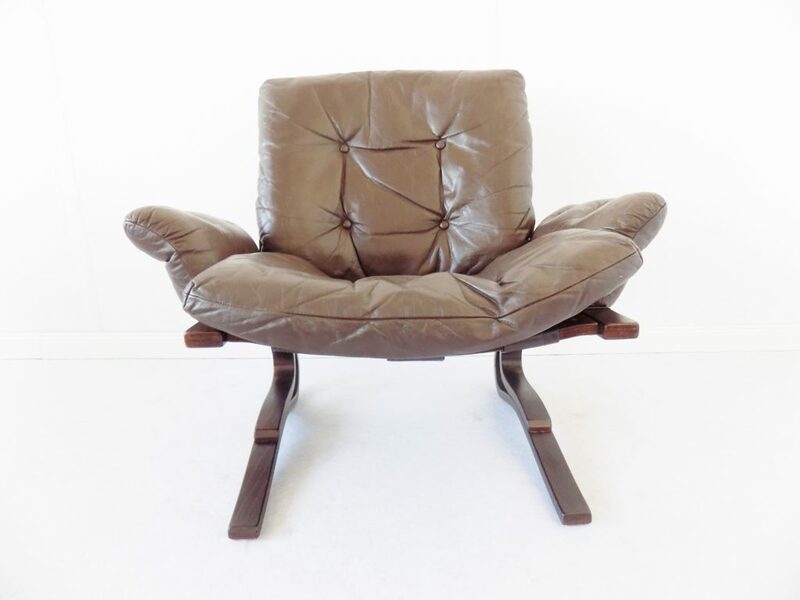 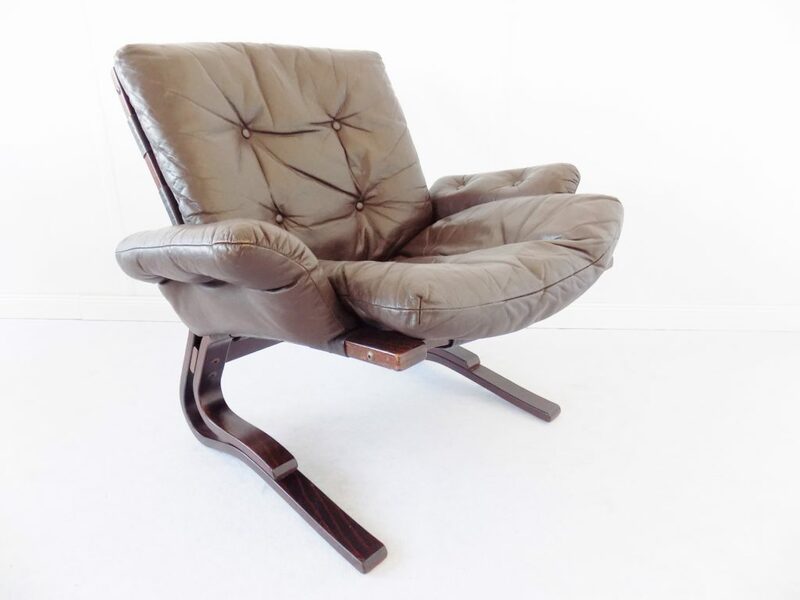 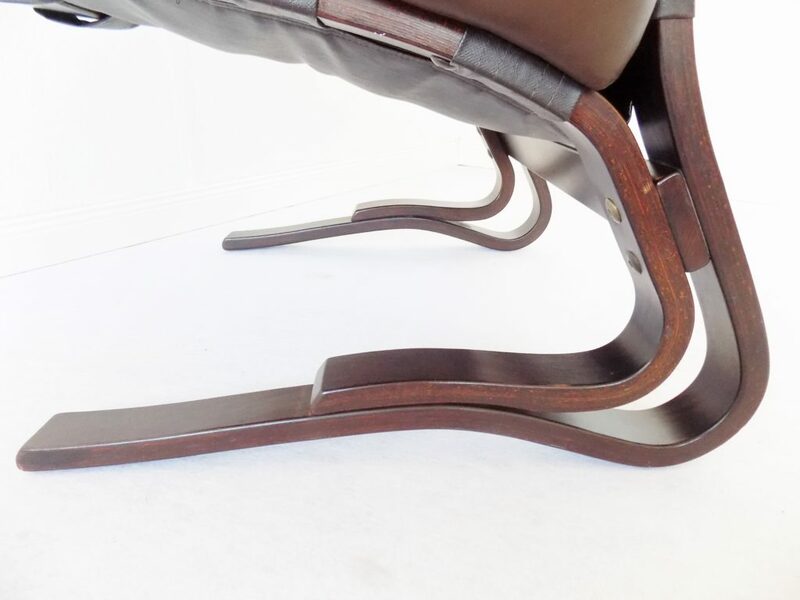 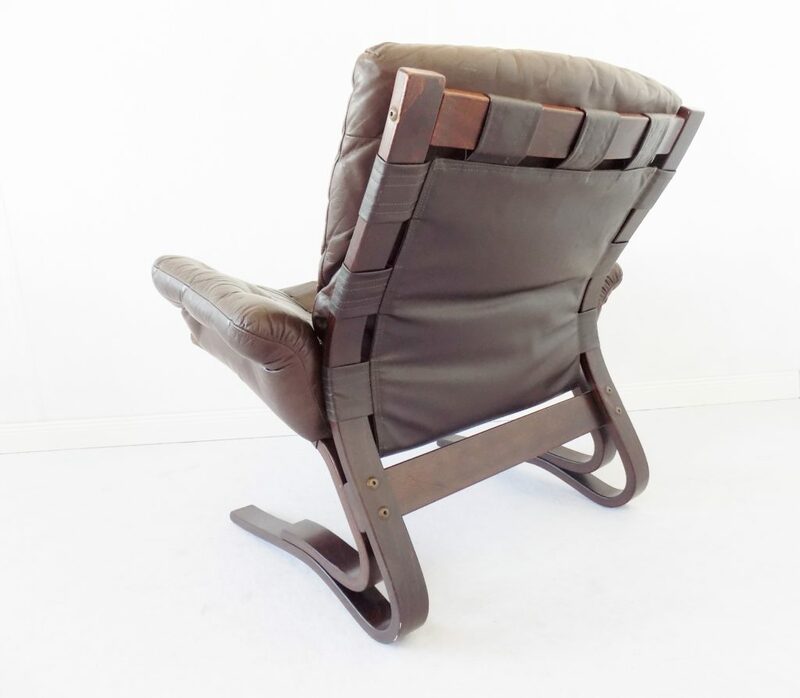 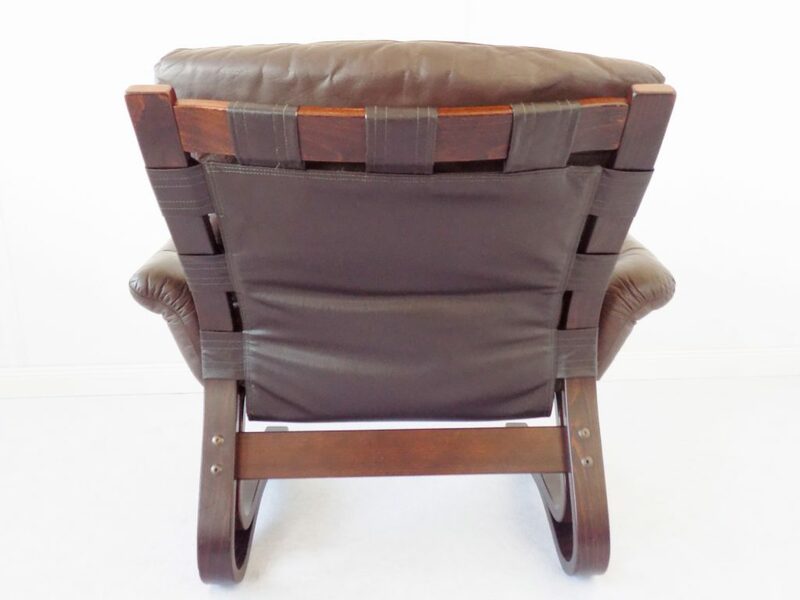 Chocolate brown Kengu armchair designed from the designers Elsa und Nordahl Solheim in the 1960’s for the Norwegian manufacturer Rykken. 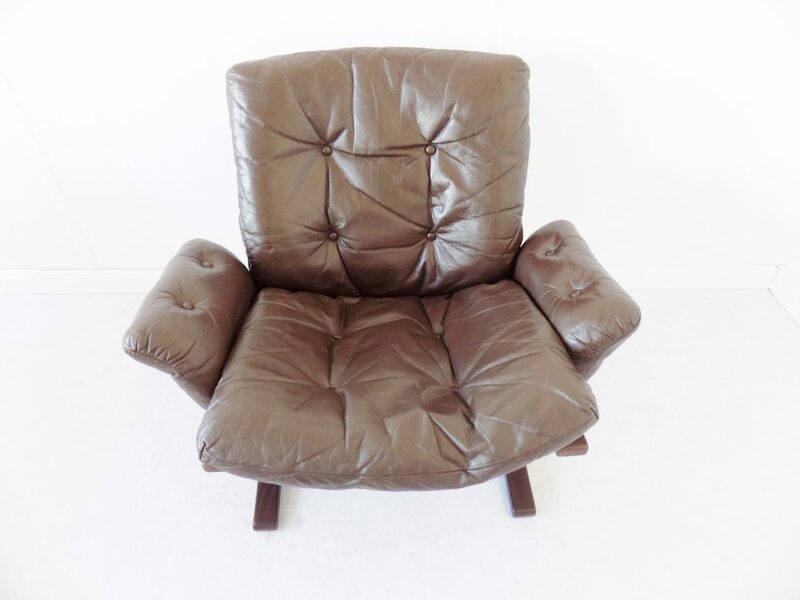 Leather and Palisander in excellent condition. 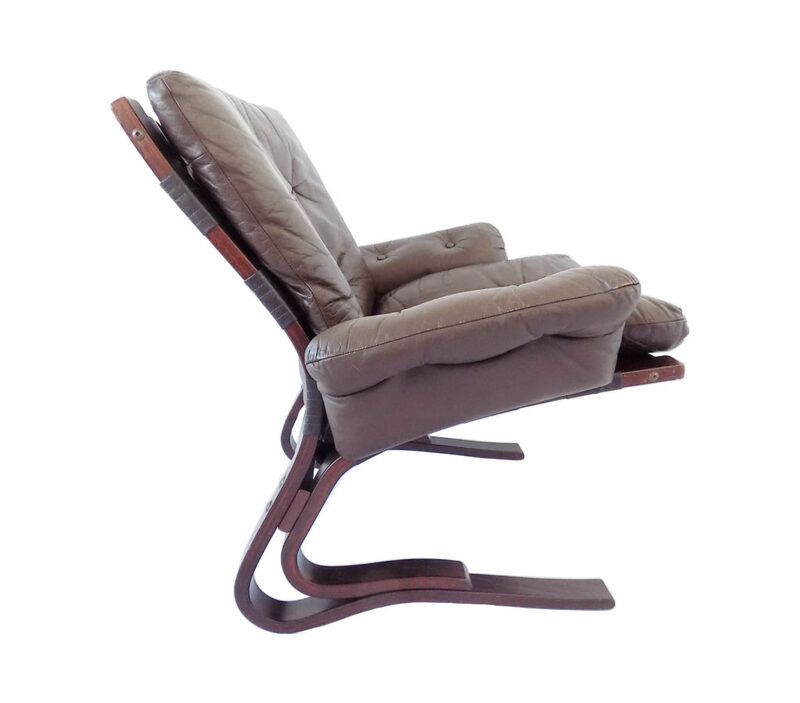 Swinging chair with armrest. 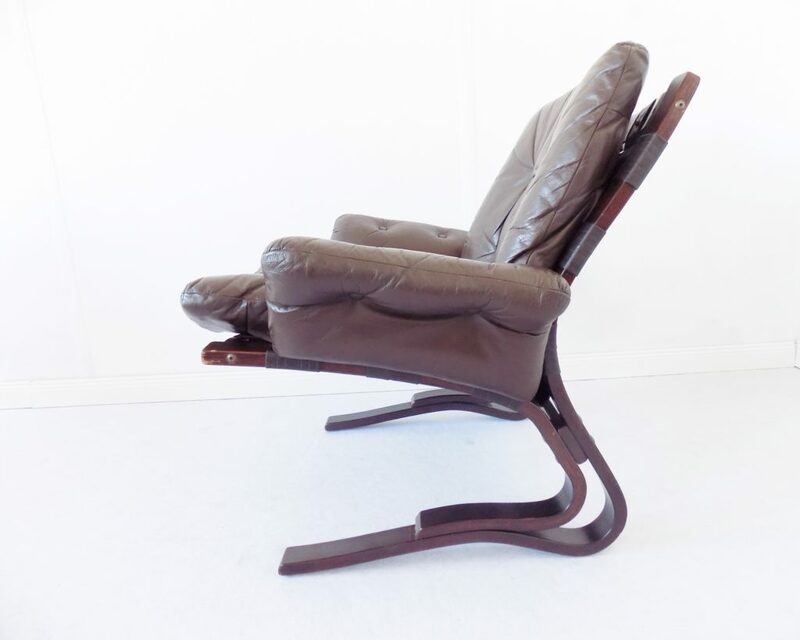 We have also others and a 2seater in stock.